New research: Manipulated: graphic health warnings on smokeless tobacco in rural India. Iacobelli I, Saraf S, Welding K, Smith KC, Cohen JE. Tobacco Control. 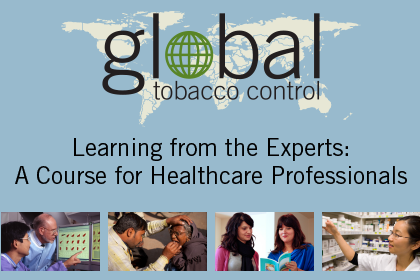 The Institute for Global Tobacco Control's (IGTC) mission is to prevent death and disease from tobacco products by generating evidence to support effective tobacco control interventions. Operating within the three-pillar framework of (1) knowledge generation, synthesis and translation, (2) evaluation and surveillance, and (3) capacity building, IGTC's goal is to reduce tobacco use globally. IGTC's work supports tobacco control action in countries around the world, and the institute has received recognition for its work and achievements by being designated as a partner in a number of public health initiatives since its inception in 1998, including being a collaborating center of the World Health Organization since 2004. 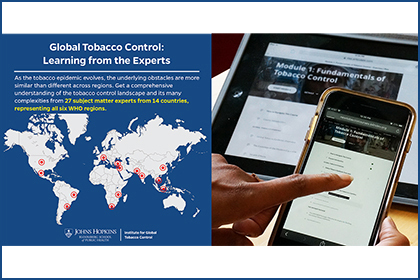 As a key player in the tobacco control arena, IGTC has trained hundreds of professionals through capacity building programs and produced more than 100 articles in peer-reviewed academic journals. The "Be Marlboro" campaign is running globally. Teens tell us whether they think it's youth-focused. Despite smoking bans, more than half of Turkish nightclub owners report that patrons smoke. 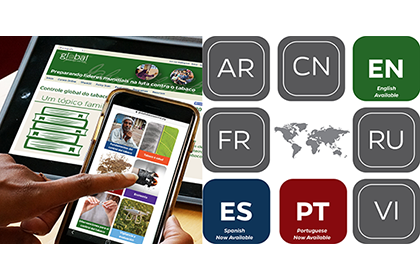 Use our tobacco control compliance guides, state of evidence reviews, journal publications and fact sheets. 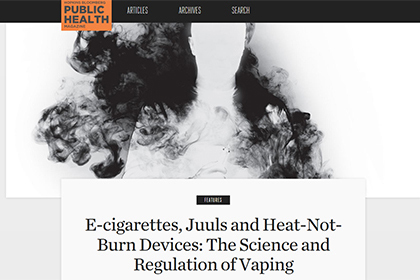 The tobacco industry is creating a new image to offset the actual burden of its products. Lisa Lagasse, PhD discusses Marlboro's new campaign, Smooth, Timeless, and Evolving, to target a younger demographic.